A growing body of research explores the ways in which regulatory skills are important contributors to school readiness, school success, and other positive developmental outcomes in childhood and throughout the lifespan. Research and theory suggest that children with strong regulatory skills may be better equipped to manage the complex academic, social, and emotional demands of early learning and school environments; and alternatively, deficits in regulatory skills can lead to problems in school adjustment, academic outcomes, and other measures of well-being. In this paper, we bring together two regulation-related research traditions: executive function (EF) and effortful control (EC). We highlight the common features of EF and EC and their key differences. Building on findings from these two research traditions, we propose an integrated model of regulation for school-based interventions and other applied settings that can serve as an organizing framework for a broad set of skills across the cognitive, social, and emotion domains that are critical to school success. Using a developmental psychopathology framework, we illustrate how an integrated model of regulation can inform more nuanced and targeted approaches to research, policy, and intervention for both special and universal populations. We end the paper with a set of recommendations for the next decade of developmental and prevention research focused on self-regulation. In this paper, we propose an integrated model of regulation for school-based interventions and other applied settings. We bring together two research traditions: executive function, a regulation-related construct that is studied primarily by cognitive neuroscientists; and effortful control, a similar construct investigated by temperament researchers in clinical and developmental psychology. Recent theoretical papers have begun to describe how these two constructs are related and how they influence school readiness, academic achievement, and other outcomes (e.g., Jones et al. 2016; Liew 2011; Nigg 2017; Zhou et al. 2011). Our paper builds upon and extends this work, by emphasizing how the two traditions, when combined, offer a view of regulation that can serve as an organizing framework for a broad set of skills across the cognitive, social, and emotion domains that are critical to school success. To make this case, we draw upon research demonstrating important links between core regulatory processes and key cognitive and social-emotional skills, including planning, problem-solving and critical thinking (e.g., Diamond and Lee 2011; Zelazo et al. 1997); and emotion regulation, empathy, theory of mind/perspective-taking, and social skills (Carlson and Moses 2001; Hughes 2011; Raver et al. 1999; Sokol et al. 2010). In the second half of the paper, we highlight the diverse cognitive, social, and emotional demands of school and other ‘natural’ settings in which children must apply their regulatory skills. We argue that school- and context-relevant demands across the early and middle childhood years require an integrated and multi-dimensional regulatory system, thereby making the case for using regulation as a central construct to target in intervention efforts. Using a developmental psychopathology framework, we also show how an integrated model of regulation informs more nuanced and targeted approaches to research, policy, and intervention. We end the paper with a set of recommendations and implications for the next decade of developmental and prevention research focused on self-regulation. What is Regulation and How is it Studied? Regulation is a complex construct referring to both internal and transactional processes that support goal-directed behavior over time and across changing contexts. Regulation implies the management and modulation of thoughts, feelings, attention, and behavior (Karoly 1993). In recent years, regulation has been investigated by a number of researchers across a variety of fields, leading to an expansive multi-disciplinary literature on what regulation is and why it matters to children’s learning, behavior, and health (e.g., Bandura 2005; Boekaerts et al. 2005; Bronson 2001; Kopp 1982; Moffit et al., 2011; Posner and Rothbart 2000; Sokol et al. 2010; Vohs and Baumeister 2011). Due to the multi-dimensional nature of the construct and the diverse disciplines that address it, regulation is defined and studied in a multitude of ways (Jones et al. 2016; Morrison and Grammer 2016). Indeed, regulation may be considered a “domain-general” term; one that encompasses a broad array of physiological, attentional, emotional, behavioral, cognitive, interpersonal and social processes (Calkins and Fox 2002). In the following pages, we briefly review the literature on two primary traditions of regulation-related research: executive function and effortful control. Executive function (EF) refers to the cognitive processes that modulate attention, control, and goal-directed behavior. In adults, EF enables complex behaviors such as planning, multi-tasking, ignoring distractions, and behaving in socially appropriate ways, and therefore, is requisite for adaptive functioning across a number of contexts. In children, EF supports the abilities to control impulses, to remember and follow multi-step directions or changing rules, to focus attention on completing a task, and to flexibly switch activities or attention when needed (Center on the Developing Child 2011). Because EF reflects diverse inter-related capacities, it is difficult to define and there is no current consensus about the best definition for the construct (e.g., Jones et al. 2016; Morrison and Grammer 2016). Researchers also differ in how they operationalize EF, per the measures they use to assess it (for a discussion of EF-related measures, see Bailey et al. 2018). Amidst these distinctions, EF can be broadly understood as a set of processes that underlie goal-directed behavior and are orchestrated by activity in the pre-frontal cortex, typically involving the deliberate control of thoughts and actions (e.g., Best and Miller 2010; Carlson 2005). One of the key conceptual and definitional issues concerns the multi-dimensional nature of the construct. Some researchers conceptualize EF as single and unitary, operating in a top-down fashion to coordinate constituent sub-processes, whereas others suggest EF is a set of dissociable components that each follow different developmental trajectories (see Miyake et al. 2000 for a review of these two approaches). The unitary view suggests a “supervisory system” (Baddeley 1986; Norman and Shallice 1980) or “central processing system” (Welsh and Pennington 1988) that operates across multiple domains and is responsible for managing diverse tasks toward goal-oriented behavior. The unitary view reflects early theoretical and empirical work on EF, which originated in neuropsychological and clinical research. This body of research suggested a pattern of consistent deficits in EF observed among patients with damage to the frontal lobes and the pre-frontal cortex (PFC), including impaired performance on cognitive and social tasks of planning, problem-solving, decision-making, and appropriate conduct (Damasio 1999; Pennington and Ozonoff 1996). Researchers described these deficits as the loss of a central executive system, suggesting a unitary nature to the PFC. Research within the individual-differences tradition has found that patients suffering from PFC lesions sometimes show opposite patterns of ability and loss (e.g., some patients pass task A but fail task B, whereas other patients fail task A but pass task B). These findings suggest an alternative view that PFC function, and EF in particular, may not be unitary but instead comprise dissociable components. Our view is that both perspectives provide useful insights into the general concept of regulation. The unitary view of EF highlights higher-order coordinating processes and their role in both cognitive and social tasks, but it may confound processes that emerge at different times of development, and those that operate at different levels or as distinct domains of a broader regulatory system. In contrast, the dissociable (individual-component) view may too narrowly focus on discrete, individual processes instead of the functional interrelatedness of all components of EF (Fuster 2008), thereby missing the ‘big picture’ of a skill set capable of coordinating diverse tasks toward sophisticated goal-directed behavior. More recent literature has tended toward an integrative perspective, suggesting that EF consists of interrelated but distinct components, described as the “unity and diversity of EF” (Miyake et al. 2000). Consistent with the “unity and diversity” view, three aspects of EF are commonly cited in the literature: working memory, response inhibition, and set shifting. Each of these components are low-level functions, have relatively simple cognitive measures available to assess them, and are implicated in more complex executive tasks. Below we briefly define these three components and describe the measures most commonly used to assess them. Working memory is the ability to maintain and manipulate information over short periods of time (Baddeley and Hitch 1974; Best and Miller 2010). The core feature of working memory is the requirement to hold information in mind and actively use it to guide thinking and behavior (Wiebe et al. 2011). In contrast to short-term memory, working memory involves actively updating information and determining its relevance, as opposed to passively storing information (Miyake et al. 2000). Working memory is most commonly assessed using the backwards digit or word span. In the backwards digit span task, a person is shown a list of numbers and asked to repeat the list in the opposite order, which requires both remembering and re-sequencing the numbers. Some researchers further differentiate between simple and complex working memory. For example, Garon et al. (2008) describes simple working memory as the ability to hold information in mind over a delay, whereas complex working memory is the ability to hold information in mind and to update or manipulate that information. Response inhibition is the ability to deliberately inhibit or override a dominant, automatic, or prepotent response (Diamond 2002; Miyake et al. 2000). Response inhibition is important for basic impulse control, such as restraining an inappropriate motor action when necessary (Garon et al. 2008). Within the EF tradition, it is typically measured in an emotionally neutral context via computerized or observational tasks. All response inhibition tasks involve an aspect of “incongruence:” some feature of the task primes an incorrect response, and the person must inhibit or ignore that feature to deliver the correct response. Like working memory, some researchers distinguish between simple and complex forms of response inhibition. Simple response inhibition is described as withholding a response or delaying an automatic response, and is typically measured with Antisaccade tasks (Garon et al. 2008). Complex response inhibition is described as inhibiting a prepotent response while also holding a rule in mind and using it to respond or act accordingly, such as in Stroop tasks (Garon et al. 2008; Stroop 1935). Set shifting is defined as the ability to switch between multiple tasks, operations, or mental sets (Miyake et al. 2000; Wiebe et al. 2011). Set shifting involves shifting one’s attention back and forth between multiple pieces of information, each time identifying and using the relevant information while ignoring the distracting or irrelevant information (Zelazo et al. 1997). A common measure of set shifting is the Wisconsin Card Sort Task (WCST), which has been adapted into the Dimensional Change Card Sort (DCCS) for use with young children (Blair et al. 2005; Carlson 2005; Garon et al. 2008). Also called cognitive flexibility, set shifting involves the capacity to “switch gears and adjust to changing demands, priorities, or perspectives” (Center on the Developing Child 2011). As mentioned, there is a lack of consistency in how researchers define and assess different constructs of EF. For example, some researchers use Dots and Flanker tasks to measure all three components—working memory, response inhibition, and set shifting (Diamond et al. 2007), whereas other researchers describe these tasks as purely response inhibition. Mixing concepts and measures in this way underscores the conceptual and definitional challenges in the EF literature, and suggests the overlapping and interrelated-ness of various EF components. Furthermore, some researchers disagree about whether EF should be conceptualized as a “bottom-up” or “top-down” process or both (Blair 2002; Blair and Ursache 2011; Nigg 2017) and they differ in their focus on either “hot” (emotionally-salient) or “cold” (emotionally-neutral) EF or elements of both (Hongwanishkul et al. 2005; Zelazo and Carlson 2012). These conceptual challenges point to the complexity of EF and its functional role in everyday behavior. We include “top-down” and “bottom-up” and hot and cold aspects of EF in our model of regulation, emphasizing how these features contribute to a multi-faceted regulatory system that is characterized by integration and reciprocal feedback loops (Rothbart et al. 2011). Most developmental research about EF comes from cross-sectional studies that look at EF task performance using different measures with different age groups, typically focusing on children age 3 years and older (e.g., Anderson 2002; Best and Miller 2010; Brocki and Bohlin 2004; Carlson 2005; De Luca et al. 2003). This research indicates that EF follows a protracted development from early childhood through adolescence and into young adulthood (Best and Miller 2010), reflecting brain-based changes primarily in the prefrontal cortex (PFC) that extend over two decades before reaching full maturity in early adulthood (Diamond 2002). In the context of this extended developmental course, EF shows a significant jump during the early childhood period (ages 3–6 years) coinciding with structural growth and re-organization of the PFC, and researchers have identified a number of EF tasks for which children demonstrate substantial improvement during the pre-school years (Carlson and Moses 2001; Diamond and Taylor 1996; Zelazo et al. 2003). EF constructs of cognitive flexibility, goal-setting, and information processing may experience a period of expansion between 7 and 9 years of age, with some researchers suggesting these processes are relatively stable by 12 years of age (Anderson 2002). An important transitional period is thought to occur during adolescence, coinciding with additional maturation of EF capacities especially in planning, problem-solving, and the efficiency of working memory (Anderson 2002; Brocki and Bohlin 2004; De Luca et al. 2003). During puberty and adolescence, the structure of the PFC undergoes changes specifically related to myelination which increases the transmission speed of neural information within the brain, and synaptic density which increases the connectivity within the PFC (Blakemore and Choudhury 2006; Huttenlocher 1979), both of which are associated with improvements in EF performance as well as changes in social cognition (theory of mind and perspective-taking). There is robust research documenting positive relationships between EF and school readiness and academic achievement: inhibition, working memory, shifting, and attention are associated with math and reading ability across the preschool and elementary school years (Blair and Razza 2007; Bull et al. 2008; Fitzpatrick and Pagani 2012; McClelland et al. 2006). EF predicts academic achievement both concurrently and longitudinally, even after controlling child age, gender, ethnicity, verbal intelligence, maternal education, and other household and familial characteristics (e.g., Duncan et al. 2007; Epsy et al. 2004). Recent longitudinal studies find that children’s EF performance in early childhood is correlated with academic performance in middle and high school, suggesting EF skills provide a foundation for future learning (Ahmed et al. 2018; Samuels et al. 2016). Moreover, a recent meta-analysis of 67 studies including children and youth aged 3–18 years found moderate and consistent correlations between EF and math and reading abilities. However, randomized studies of interventions designed to improve EF showed no evidence that gains in EF led to gains in achievement (Jacob and Parkinson 2015). Thus, existing evidence may support correlational but not necessarily causal links between EF and academic outcomes. There is some research on EF and social-emotional skills, primarily exploring the relationship between EF and social-cognitive skills such as theory of mind (TOM) (e.g., Carlson and Moses 2001; Sokol et al. 2010); these findings suggest that during early childhood EF facilitates but is not sufficient for development of TOM. Research with low-income adolescents finds that individuals with greater EF and emotion regulation skills are more likely to demonstrate resilience in the face of toxic stress, measured via emotional well-being, mental health, behavior, academic achievement, and social competence (e.g., Buckner et al. 2003). Finally, research indicates that low-income children are at-risk for poor EF skills: kindergarteners from low-SES families have lower performance on EF tasks than those from middle-SES families (Noble et al. 2005) and these differences persist over time (Noble et al. 2007). Growing research documents that early adversity and/or exposure to trauma, neglect, and significant life stressors can lead to challenges in executive functioning and self-regulation (Bos et al. 2009; Gunnar 2000; Raver et al. 2013). Poverty is associated with poorer selective attention and higher basal levels of the stress hormone cortisol which interrupts use of the PFC/EF (Kishiyama et al. 2008; Lupien et al. 2001). There are two major limitations of the EF research tradition, from our view as developmental and prevention scientists. First, much of the EF research confounds higher-order/supervisory system with lower-order/subcomponent processes, making it difficult to tease apart specific skills or components for the purposes of understanding developmental trajectories and developing targeted interventions that support EF. More longitudinal, developmental research would allow us to better understand how EF changes over time and what aspects of EF are salient during specific developmental stages and are potentially most amenable to intervention. Second, a majority of EF research addresses cognitive tasks (attention and memory), with less attention to how EF processes work in emotionally salient situations, or how EF might interact with affective states such as motivation, arousal, and stress. Effortful control (EC) refers to the ability to intentionally manage thoughts, attention, emotions, and behavior (Lengua 2008). Children and youth use EC to sustain focus on a specific task, to shift attention when necessary, and to initiate or inhibit action voluntarily. Attention and inhibitory skills are central to the construct of EC, particularly in the context of emotionally salient situations such as those involving desire, frustration, or the potential for reward (e.g., Kochanska and Knaack 2003; Metcalfe and Mischel 1999; Rueda et al. 2004; Zhou et al. 2011). Effortful control is one of three developmental constructs related to temperament. Temperament refers to biologically based individual differences in emotional, motor, and attentional reactivity, and the related regulatory processes that modulate this reactivity (Rothbart 2007). EC comprises the regulatory aspect of temperament; extraversion and negative affectivity comprise the reactive aspects. For the following reasons, we argue that temperament is important when considering the broad construct of regulation. First, temperament research tends to examine the earliest years of childhood (birth through 3 years of age) and thus provides information about the development of regulatory behavior before the emergence of EF (around 3–4 years of age). Second, temperament research includes an account of neuro-biological processes linking cortical and limbic areas of the brain, specifically drawing attention to the ways in which the frontal cortex interacts with limbic and reward systems in the brain to produce regulatory behavior (Derryberry and Rothbart 1997; Vogt et al. 1992). This account provides a more nuanced explanation of the neural underpinnings of regulatory behavior (compared to EF literature which localizes regulation in the PFC) and suggests a “regulatory loop” or bi-directional processes of regulatory function in the brain. In other words, the temperament-based EC literature takes a network rather than a region-specific approach to the brain bases of regulation, and thereby offers a view that incorporates the dynamic relationship between motivational and goal states—a relationship we believe is essential to understanding and modeling regulation as it occurs in real-world situations (see Blair and Ursache 2011). Third, temperament research highlights the specific ways in which social, emotional, and cultural cues inform regulatory functioning. For example, Rothbart suggests that the efficiency of EC depends on the emotional intensity against which effort is exerted (Rothbart et al. 2000). This involves a consideration of the individual’s appraisal process or emotional orientation to the specific goal and situation. This view is appealing because it captures person- and context-specific features of regulation; and therefore, situates regulation in an ecological framework. Finally, temperament accounts for some individual differences in cognitive, social, and academic outcomes (Allan and Lonigan 2011), suggesting that temperament is a source of influence and potential moderator of intervention impacts. Thus, we argue that an account of regulation that draws exclusively from EF literature is insufficient to applied developmental work that must address (a) age-changes from birth through adolescence, (b) the complexity and diversity of “real-world” demands and situations which elicit various emotions and subsequently impact regulatory functioning, and (c) the social-emotional, cultural, and environmental influences on regulatory functioning that also impact outcomes. Effortful control is often defined in similar terms as executive function, especially in relationship to inhibitory control. Researchers focused on inhibitory control describe EC as the ability to execute goal-directed behavior by suppressing or delaying a dominant response in favor of a sub-dominant response, or as the ability to overcome automatic, pre-potent behavior (e.g., Allan and Lonigan 2011; Kochanska and Knaack 2003). Although EC and EF are clearly related, many descriptions of EC include elements that explicitly distinguish it from EF. For example, EC is described as the ability to regulate emotions and emotion-related behavior (e.g., Eisenberg et al. 2005; Iyer et al. 2010). EC is thought to down-regulate high levels of negative reactivity through the inhibitory control of automatic cognitive, emotional, and behavioral responses (Lengua 2008). EC researchers typically measure inhibitory control in tasks that involve managing strong emotions such as desire or frustration, and in the context of social interactions, whereas EF researchers typically measure inhibition in lab-based tasks that do not involve emotions or social interaction. Some researchers propose that EC is a higher-order construct encompassing multiple aspects of regulation. In this conceptualization, EC refers to the “super-ordinate self-regulatory system” that asserts control over other regulatory and reactive processes (Rothbart et al. 2000). Alternatively, some researchers suggest that EC is one of two aspects (the other being EF) that together comprise the construct of regulation (e.g., Liew 2011; Zhou et al. 2011). EC typically includes the following subcomponents: inhibitory control, attention control, and attention shifting. Similar to the three most commonly studied subcomponents of EF (working memory, response inhibition, and set shifting), these may be considered “simple” functions that are implicated in more complex EC tasks such as emotion regulation, behavior regulation, self-control, and self-discipline (e.g., Mischel and Mischel 1983; Raver et al. 2007). Inhibitory control is the ability to inhibit or suppress a dominant response in favor of a subdominant response. Inhibitory control is what allows children to refrain from doing something automatic, or to act in a purposeful and controlled way. Inhibitory control is conceptually very similar to the EF component of response inhibition. In the EC literature, inhibitory control is typically measured in one of two ways: with observer reports of behavior, or with direct assessment tasks. A classic observational measure is the Inhibitory Control subscale on the Children’s Behavior Questionnaire (CBQ; Rothbart et al. 2001). The central feature of inhibitory control direct assessment tasks is the requirement to act in a deliberate way when asked to do so; to respond to adult requests and follow directions appropriately. Some EC researchers also use EF measures, including variations of the Stroop (Allan and Lonigan 2011; Carlson and Moses 2001). In another common assessment of inhibitory control, Less Is More, a task that requires children to point to the pile of items that is less desirable, and therefore, requires effort to resist pointing to the pile that he/she actually wants (Allan and Lonigan 2011; Carlson et al. 2005). Although similar to some EF measures, Less Is More involves emotionally salient demands, as it involves a tempting reward and a high level of arousal. Other measures include waiting for a desirable item such as a treat or gift; these are called delay of gratification or snack/toy/gift delay, and require inhibition or delay of one’s immediate desire (Metcalfe and Mischel 1999; Raver et al. 2011). Attention focusing is the ability to voluntarily focus or sustain attention on a given task. Attention focusing is frequently measured using the attention focusing subscale on the CBQ (Rothbart et al. 2001). Direct assessment tasks include the continuous performance task (CPT; Rosvold et al. 1956; Sulik et al. 2010) in which a child is seated at a computer is instructed to press a button as soon as a specific image appears on the screen (e.g., a fish). The key feature of these tasks is the requirement to maintain attention on a specific activity or piece of information. When considering the measures used to assess EC, it can be difficult to distinguish between the concepts of inhibitory control and attention. Many measures appear to involve both capacities. This is especially apparent in tasks that involve both deliberate action/activation and deliberate inhibition, such as Go/No Go, Simon Says, or Bird and Dragon (Kochanska and Knaack 2003; Kochanska et al. 2000; Sulik et al. 2010). These tasks require children to initiate action some of the time and inhibit action the rest of the time. Attention focusing and inhibitory control are clearly interrelated, and in factor analytic studies, they tend to load together on a single factor (Eisenberg et al. 2004; Rothbart et al. 2001; Sulik et al. 2010). Attention shifting is the ability to transfer focus from one object or task to another, or willfully move from one activity to the next (Eisenberg et al. 2004; Putnam et al. 2008). Attention shifting is commonly measured using the attention shifting subscale on the CBQ (Rothbart et al. 1994). Although there are few direct assessment measures of attention shifting in the EC literature, many inhibitory control and attention control tasks appear to tap the shifting construct. For example, as described above, tasks that involve the integration of both inhibitory and attention control often involve switching back and forth between two or more rules. The first few years of life are considered critical to the development of EC aspects of regulation (Kopp 1982; Kochanska et al. 2000). EC researchers emphasize the important role of anterior regions of the brain that are responsible for orienting and alerting attention during infancy and set the stage for more deliberate attentional control (e.g., Posner and Rothbart). Effortful control emerges between 6 and 12 months of age, and then develops rapidly throughout the toddler and preschool years. In a longitudinal study using a multi-task battery of EC with children at 22 and 33 months, children showed significant improvements in each task, and tasks increasingly cohered across time points (Kochanska et al. 2000). In another longitudinal study using multi-task behavioral batteries with children at 22, 33, and 45 months, EC was highly stable across tasks and time-points, suggesting that children’s EC skills are well established by the early toddler years and appear to be a coherent, consistent characteristic (Kochanska and Knaack 2003). This suggests reactive aspects of EC are a relatively stable feature of an individual’s personality or temperament (Caspi and Silva 1995), whereas regulatory aspects of EC show growth and development throughout the early childhood years. Measures of EC have been linked to early school-relevant outcomes, including teacher-reported grades and student-reported engagement with school and school liking (e.g., Allan and Lonigan 2011; Eisenberg et al. 2005; Iyer et al. 2010). EC is also closely tied to social-emotional skills, psychosocial adjustment, and well-being: EC is linked to internalizing and externalizing behaviors, both concurrently and longitudinally (Eisenberg et al. 2004, 2009; Kochanska et al. 1996); and to children’s social competence including empathy skills and socially-appropriate behavior (e.g., Eisenberg et al. 1995; Raver et al. 1999); and to children’s resiliency and social adjustment (Eisenberg et al. 2003, 2004). Research suggests that EC influences academic outcomes by supporting children’s social functioning and school adjustment (Valiente et al. 2008, 2011). Emotionally salient constructs similar to EC, such as early childhood delay of gratification and self-control, have been shown to predict a wide range of outcomes later in life including high school graduation, SAT scores, adult earnings and savings, obesity, drug addiction, and criminal behavior (Mischel et al. 1988, 1989; Moffitt et al. 2011). Related constructs of emotion regulation and behavior regulation in preschool and kindergarten are also linked to literacy, vocabulary, and math scores (Howse et al. 2003; McClelland et al. 2007; Raver et al. 2007). A critical examination of the EF and EC literatures suggests these constructs are related but distinct in the following ways, which we argue are relevant to effective translation for schools and other applied intervention settings: (1) Both identify core processes or fundamental components of regulation with an emphasis on intentional, goal-directed behavior. (2) Many of these core processes or components are common to both literatures, although importantly, some components are unique or more heavily emphasized in one but not the other. (3) They have different but complementary perspectives on the definition and conceptualization of self-regulation—EC emphasizes regulation in the context of rewards, desires, and other emotionally salient situations as well as regulation in the context of social interactions; whereas EF emphasizes regulation in the context of cognitive/mental tasks and is often explicitly emotionally neutral. And, (4) they have different but complementary approaches to measuring self-regulation—EF researchers typically assess regulation using lab-based techniques, in which children perform unfamiliar and discrete tasks independently, often using a computer, and without the “noise” of natural settings. EC researchers frequently assess regulation in the context of natural environments such as homes and schools, in which children perform tasks that are similar to daily activities and often involve interpersonal or emotionally charged complexities of daily life. EC research often targets more complex behaviors that reflect multi-dimensional regulatory skills, and relies on parent, teacher, caregiver, or peer reports to capture children’s regulatory competence. Synthesized into a coherent framework, these two research traditions provide a more robust and comprehensive account of regulatory skills than either tradition alone. An integrative view illustrates how diverse aspects of regulation provide a broad base of foundational skills that support children to do well across school, family, and community settings throughout early and middle childhood, and particularly across the difficult transition to and between school settings. Whereas EF skills such as working memory support children to remember and follow classroom rules and to recall and manipulate specific academic information, EC skills provide the necessary arousal, motivation, and cooperation skills that support children to successfully engage with learning materials and to negotiate the social demands of a classroom environment (such as sharing, taking turns, and appropriately dealing with frustration or conflicts). In addition, EC skills appear to help children establish positive relationships with teachers, who are the primary instructional resources of the classroom, and with peers and other adults who can provide support in various aspects of learning, adjusting, and getting along in school. An integrative model—one that directly draws together the approaches and findings from EF and EC literatures—is an important and timely contribution to the field because, as we describe below, it addresses a comprehensive set of skills and behaviors needed for success, is consistent with basic principles of human development, and offers efficiency to those interested in translating this research to effective intervention and prevention efforts. In our model, we attempt to clarify overlapping constructs from different technical literatures. We illustrate how an integrated model of regulation can serve as an organizing framework from which to think about a comprehensive set of knowledge and skills across the cognitive, social, and emotional domains that together support complex behavior across time and contexts. We describe this system as the “regulatory gestalt” and propose a template for a developmental sequence of how regulatory skills become more sophisticated and integrated over time. Why is an Integrated Model of Regulation Needed? Recent work integrating EF and EC research has served to elevate regulation-related skills as central mechanisms of human development (e.g. Blair 2002). Many early childhood programs and policies now explicitly include aspects of EF, EC, and self-regulation (SR) along-side academics as core targets of high-quality early childhood teaching and learning. For example, the Tools of the Mind program for preschool and early elementary-age students is organized around self-regulation activities that are embedded within math, literacy, and social skills practice; and the Approaches to Learning domain of the Head Start Early Learning Outcomes Framework defines EF and SR as essential competencies for young children (DHHS/ACF/OHS 2015). EF, EC, and SR skills can also be seen in an increasing number of frameworks that guide national charter and public school networks (e.g., KIPP, MESH) as well as in recently developed state and national standards for “non-cognitive” skills for K-12 students (such as the Executive Functioning domain of the Social, Emotional, and Intellectual Habits section of Connecticut K-12 State Standards). However, these efforts typically confound multiple skills that are meaningfully distinct (Nigg 2017). Aspects of EF, EC, and SR follow different developmental trajectories, serve as a foundation for different skills and outcomes, and may be differentially sensitive to specific environmental risks and supports—thereby suggesting different approaches to intervention and assessment (Bailey et al. 2018; Jones et al. 2016). For example, while computer-based training in EF can lead to improved working memory and inhibition, there is limited evidence these gains transfer to classroom-relevant behaviors, social-emotional skills, or other academic or life outcomes (Melby-Lervag and Hulme 2013; Thorell et al. 2009; Titz and Karbach 2014). These efforts have particular relevance for programs or policies designed to improve outcomes for low-income children and youth, as research indicates that SR-related skills are key mechanisms through which poverty and early adversities impact children’s learning, health, and development (Blair and Raver 2012, 2016). While there is clear scientific consensus that regulatory skills are critical for healthy development and learning-related outcomes, many questions about the timing, context, and specific target of SR-related interventions remain unaddressed (Jones et al. 2016). These issues are essential to the effective translation of SR research into programs and policies that support healthy development. Educators and other stakeholders want to know: what specific skills should be taught to students to improve academic achievement, or to reduce behavior problems? Should teaching strategies look different depending on the specific aspect of EF, EC, or SR being targeted? Are the answers to these questions the same if we are interested in depression, anxiety and other mental health outcomes, as opposed to academic outcomes? Are the answers the same depending on the age of children or youth being targeted? These questions will define the next decade of applied research on self-regulation. Currently, little research directly investigates how regulation-related skills are related to one another, how these relationships shift over time, and whether they are differentially susceptible to environmental input or may respond differently to prevention and intervention efforts. As recent reviews suggest, progress in SR-related research is impeded by the various terms and multiple meanings for SR that are present across fields and literatures (e.g., Jones et al. 2016; Nigg 2017). Without a coherent model that articulates how EF, EC, and other skills are related to one another, and that situates skills in the context of developing self-regulation over time, it will be difficult to address these pressing questions. Building on the work of others (Blair and Ursache 2011; Jones et al. 2016; Liew 2011; Nigg 2017; Zhou et al. 2012), we propose an integrated model of regulation that build on and elaborates previous work in three major ways. First, we offer a nuanced view of the link between EF, EC, and SR skills, aiming to clarify distinct constructs that are often confounded. Second, we link these constructs to observable behaviors that are salient to children’s success in school and other “natural” settings. In this regard, our intention is to translate the technical literature for applied contexts, and to emphasize the ways in which context—every day environments, interactions, and relationships with adults and peers—is central to understanding children’s SR skills. 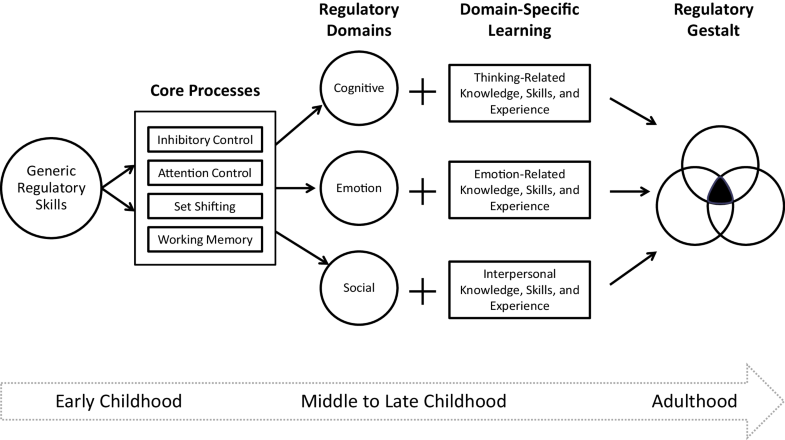 Third, we describe a template for a developmental sequence of regulation-related skills across early and middle childhood. The model we propose organizes a broad array of social, emotional, and cognitive skills around a common theme and suggests how they might follow a logical stepwise progression that reflects general principles of development (i.e., stage-salience, differentiation, and hierarchical integration). We use self-regulation as a central organizing theme around which an even broader set of skills—variously referred to as social-emotional, non-cognitive, twenty-first century, or life skills—can be understood in relation to one another. Finally, we situate our model within a broader bio-ecological framework. Our model rests on three key assumptions: (1) executive functions are core processes that are domain-general and support regulatory skills across the lifespan; (2) regulation can be understood as unfolding in three distinct but overlapping domains spanning cognitive, emotional, and social development; and (3) over time, EF and other regulation-related skills are integrated into a “regulatory gestalt” which functions as a central mechanism for managing and modulating attention, thoughts, feelings, behavior, and social interaction—thus influencing a broad range of outcomes. A key feature of our model is the articulation of a set of core regulatory processes. We propose that core regulatory processes are the basic building blocks of all self-regulation (Jones et al. 2016). They emerge early in development and become the foundation for other regulation-related skills and behavior throughout the lifespan. Over time, children and youth use these basic processes to meet increasingly complex demands. We suggest that core regulatory processes operate in a domain-general fashion: they are not inherently tied to a specific domain such as cognition or emotion, but instead they serve as general processing capacities that support a wide range of skills across multiple domains. As shown in Table 1, we define core regulatory processes as inhibition, attention control, working memory, and shifting. Across theoretical and empirical papers, these processes are identified as essential sub-components of EF and EC. For example, a number of EF studies use factor analytic strategies to explore distinct sub-components within commonly used EF measurement tasks, and many of these studies confirm that a 3-factor model provides the best fit, with distinct sub-components of inhibition, working memory, and set shifting (e.g., Huizinga et al. 2006; Miyake et al. 2000). Furthermore, these processes appear to emerge during the early childhood period—between 3 and 7 years of age—suggesting they are the earliest and simplest form of EF. 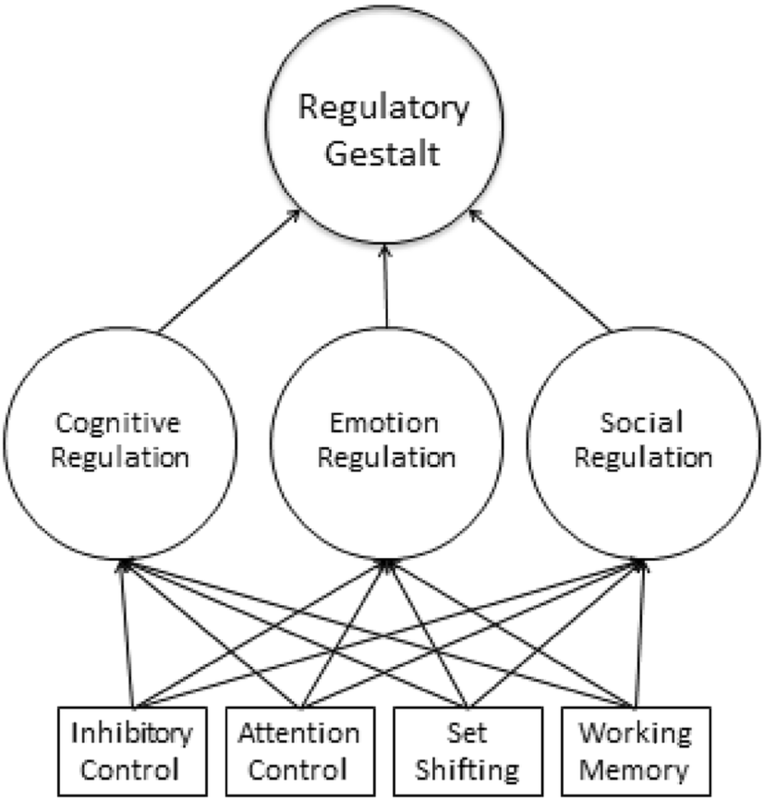 We also include attention control as a core regulatory process. While attention control is not typically included in EF research, it is a central part of EC research (also known as Attention Focusing), which emphasizes the relationship between attention focusing and executive control, highlighting the way these processes work in coordination to monitor the environment and manage thinking, feelings, and behavior (e.g., Rueda et al. 2004). We include attention control as a core process in our model for two additional reasons. First, attention control is sometimes included in EF literature that focuses on early childhood (e.g., Garon et al. 2008) and is considered to be a salient skill during this time and the early school years, closely tied to positive behavior, adjustment to school, and early academic success (e.g., Duncan et al. 2007). Second, it is difficult to untangle EF from attention in measurement or conceptualization, because the very nature of EF tasks requires the subject to intentionally focus for the duration of the assessment task (Bailey et al. 2018). Furthermore, from an applied perspective, attention control—the ability to look or listen carefully, to direct one’s attention toward certain things and away from others, and to maintain focus as needed—is highly relevant to educational and clinical settings, and constitutes a meaningfully distinct process from either inhibition, working memory, or shifting (for example, children can be good at sustaining focus but struggle with flexibly switching gears, and vice versa). Many EF and EC experts describe additional components beyond the four we identify as core regulatory processes (in a review of the literature, our team found at least 44 EF-related skills/terms; see details in Jones et al. 2016). In our model, we attempt to organize discrete skills in the EF/EC/SR literatures in a way that identifies hierarchical relationships (lower vs. higher-order, simple vs. complex skills) and follows a general developmental sequence (i.e., what comes first and lays the foundation for later skills). Some of the skills described in the literature (e.g., planning, decision-making) emerge later than the core processes described in our model, and are more relevant to older children, adolescents, or adults. In our view, these constitute complex and higher-order regulation-related skills; they are distinct from core processes. Furthermore, some regulation-related skills appear to be domain-specific, drawing on learning and experiences in a particular developmental domain (such as social skills). We suggest these skills are best understood as aspects of EF/EC that have been elaborated into specific domains of regulation. We include three broad domains of regulation in our model: cognitive, emotion, and social regulation. As shown in Table 2, we suggest that over time core processes of inhibition, attention, working memory, and shifting are elaborated through domain-specific knowledge, skills, and experiences to produce increasingly more sophisticated regulatory behavior. For example, inhibition is combined with emotion knowledge (the recognition of feeling states like anger, frustration, joy, or sadness) to support emotion regulation—the deliberate modulation or management of emotions in service of a goal, such as not yelling at a friend or motivating to complete a difficult school assignment. As another example, social knowledge such as theory of mind is integrated with shifting to enable perspective-taking and conflict resolution skills—as these skills require shifting attention away from one’s own thoughts and feelings to consider the ideas or needs of others (van der Meer et al. 2011), and to adjust behavior to accommodate the goals or well-being of others. A third feature of our model is the proposal that regulatory domains are integrated over time into a “regulatory gestalt” that supports increasingly more complex and sophisticated behavior. We hypothesize that across development, the regulatory gestalt becomes an integrated, multi-dimensional, and holistic system enabling success for the individual across various environments—including the capacity to manage multiple types of regulation-related demands simultaneously. For example, school-based learning environments reflect all three domains simultaneously: students must manage attention, memory, and impulses (cognitive regulation) to demonstrate positive behavior in the classroom; students must deal with the frustration of difficult learning tasks and cope with a range of emotions (emotion regulation) to engage with learning activities and build positive relationships with others; and students must negotiate their own opinions, perspectives, needs, and feelings (social regulation) in the context of the opinions and needs of others. We suggest that higher-order skills often included in the EF and EC literatures are best understood as a representation of the regulatory gestalt. Examples at the gestalt level include: self-discipline, self-control, and self-regulation (e.g., Duckworth and Seligman 2005; Karoly 1993; Moffitt et al. 2011). These constructs are ‘umbrella terms’ that involve core regulatory processes as well as knowledge, skills, and behaviors across one or more regulatory domains (see Bailey et al. 2018 and; Jones et al. 2016 for more details about our classification system for regulation-related skills). An integrated model of regulation that includes three hierarchical levels and spans three developmental domains provides a uniquely comprehensive approach to organizing diverse skills from multiple bodies of literature and conceptualizing how they are related to various domains of functioning (see Fig. 1). The model is intended to represent the rich set of regulatory demands that children face in school and other applied settings, and to emphasize the role of regulation as a central mechanism around which a broad set of developmental capacities can be understood, studied, and targeted. By applying core principles of developmental theory to this integrated model, we articulate a more nuanced theory of how core processes and domain-specific learning experiences coordinate to enable increasingly complex regulation-related behavior over time. Adopting a developmental psychopathology perspective, we propose how developmental processes shape regulation over time and across changing contexts. Developmental psychopathology is a “macro-paradigm” that seeks to integrate knowledge from scientific disciplines at multiple levels of analysis and across multiple domains, drawing together diverse findings and frameworks to best explain developmental phenomena (e.g., Cicchetti and Rogosch 2002; Rutter and Sroufe 2000). In this section, we briefly describe two principles of developmental psychopathology and provide an illustration of each as they pertain to our integrated model of regulation. Differentiation and integration are developmental processes that enable growth and change throughout the life course (Overton 2010). They can be observed in various skill areas including visual, motor, conceptual, and emotion-related domains (e.g., Siegler and Chen 2008). In his classic statement of the orthogenetic principle, Werner (1957) says, “wherever development occurs, it proceeds from a state of relative globality and lack of differentiation to a state of increasing differentiation, articulation, and integration” (Werner 1957, p. 126). Differentiation refers to the process by which generic information or skill, which emerges first, becomes more specific, able to be tailored and applied to a range of situations. This involves articulation, or the breaking down of the generic whole into its individual parts (Werner 1957). Over time, as knowledge or skill becomes increasingly differentiated, new aspects of the skill emerge, sometimes replacing the original generic construct and other times manifesting as distinct parts, features, or versions of the skill. Eventually, the parts are re-organized and coordinated with each another to produce more sophisticated behavior. This phase of the process is called hierarchical integration, because it involves new relationships and the integration of basic skills into something substantially more complex, which functions at a higher level of organizational hierarchy (Werner 1957). Drawing from this principle, we suggest regulation first emerges as a global construct, which we call ‘generic regulatory skills’ (see Fig. 2). This earliest version of regulation appears between 2 and 3 years of age, when children begin to use conscious control to resist impulses or to choose a non-preferred, non-dominant response. We suggest EF and EC research with children younger than 3 years of age better reflects the construct of reactivity—early temperamental and biologically based differences in attention, emotions, and behavior—and not the deliberate control functions that denote regulation proper. Three empirical findings from the EF and EC literatures support the idea of an initial global regulatory construct. First, children begin to successfully complete basic regulatory tasks between 2 and 3 years of age, with more children passing these tasks with increasing frequency as they approach 4–6 years of age (e.g., Kochanska et al. 2000; Carlson 2005). Second, both EF and EC literatures tend to use the same measures of regulation during this stage of early childhood (e.g., Day/Night Stroop, Pencil Tap, or Walk a Line Slowly). This suggests that the earliest emergent feature of regulation is a single construct, which is best described as basic inhibition. Third, the early undifferentiated nature of regulation is supported by factor analytic studies, which indicate that a single factor model provides the best fit for data with children under 4 years of age (Wiebe et al. 2011). An initial global regulatory construct also helps to explain why there is so much overlap between the two literatures during early development; only one global regulatory skill exists, so both EF and EC traditions assess the same generic construct. Next, we suggest regulation undergoes two iterations of differentiation and integration, one at the micro level and one at the macro level. These two iterations may be temporally sequenced or may reflect two types of differentiation and integration that occur simultaneously. The first iteration (at the micro-level) is especially salient during early childhood and reflects brain-based changes in the PFC region responsible for EF (e.g., Diamond 2002). The second iteration (at the macro-level) is ongoing but may be increasingly salient during middle-late childhood or adolescence; reflecting both developmental and brain-based changes as well as changing environmental demands on children and youth (e.g., Blakemore and Choudhury 2006). The first iteration occurs between ages 4–7 years and establishes the basic structure of EF/EC or what we have described as the set of ‘core regulatory processes’ (see Fig. 2 below). Evidence from factor analytic studies supports the idea that regulatory skills undergo a process of articulation from one to several component parts during this time frame. Specifically, between 3 and 4 years of age, basic regulation can be differentiated from one to two distinct sub-constructs; and around 6 years of age, regulation differentiates further as a third sub-construct emerges. For example, a two-factor model of EF including inhibitory control and working memory provided the best fit for data with 4–5-year-old children (Senn et al. 2004); and a three-factor model of EF including inhibitory control, working memory, and set shifting provided the best fit among 6–7-year-old children (Huizinga et al. 2006). As previously mentioned, some EF researchers describe measures of set shifting as ‘complex EF’ because they appear to involve the coordination of multiple rule structures and involve the use of inhibitory control and working memory components (Zelazo et al. 1997), and the interaction of inhibition and working memory is considered a key advance in EF development (Brocki and Bohlin 2004). Thus, the emergence of shifting may be understood as a hierarchical integration of two simpler skills: inhibitory control and working memory. Finally, a three-factor model of EF has been shown to provide a good fit for data with older children, adolescents, and adults (e.g., Miyake et al. 2000). As shown in Fig. 2, we suggest that a second iteration occurs at the macro level, starting in early childhood and extending throughout middle-to-late childhood, adolescence, and early adulthood. This iteration occurs more gradually than the first, as regulation is differentiated into specific domains and children and youth learn to apply core regulatory processes to diverse demands across cognitive, emotional, and social domains. This articulation occurs in parallel with the development of specific social and emotional skills such as, the abilities to identify and communicate internal feeling states and to accurately recognize feelings, theory of mind, perspective-taking, and understanding social cues. As these domain-specific social and emotional skills develop, they are integrated with core regulatory processes to produce increasingly sophisticated regulatory behavior. A similar process occurs in the cognitive domain, in which core regulatory processes are integrated with emerging skills related to metacognition, visualization, and other mental phenomena to produce more sophisticated regulatory behavior such as planning, problem-solving, organizing, setting goals, and decision-making (Best et al. 2011; Diamond 2013). The idea that regulation undergoes a second iteration of differentiation and integration is supported by brain-based and behavioral research. For example, research with adolescents indicates that the period between 12 and 18 years of age is an important phase of growth, re-organization, and consolidation, reflecting changes in the anatomy and connectivity of key regions of the brain that support regulatory and social functioning (Blakemore and Choudhury 2006; Crone 2009; Paus 2005). During adolescence, increasing demands are placed on the executive systems as well as the interplay between cognitive and emotion-related processes, which are essential in the context of peer interactions, specifically for the interpretation and processing of verbal and non-verbal cues (Paus 2005). Adolescents also demonstrate increased neural reactivity to emotions and rewards (Griffin 2017; Dumontheil 2016). Brain-based changes in the PFC and its links to other regions of the brain, including the amygdala and sub-cortical limbic structures responsible for emotions, facilitate emotional awareness and social behavior through the increased discrimination of facial expressions and enhanced attention to socially salient stimuli (Alison, Puce, and McCarthy 2010). Thus, adolescence is an important phase of maturation for executive and social networks in the brain, and it can be understood a sensitive period for both self-regulation and social-emotional development (Crone 2009; Dumontheil 2016). These findings are consistent with a substantial body of behavioral research suggesting that skills across cognitive, social, and emotional domains are integrated with one another over time (e.g., Diamond 2013; Crick and Dodge 1996; Jones and Kahn 2017; Lemerise and Arsenio 2000); and with research suggesting that adolescence is a critical time for interventions that approach skills from a more integrated perspective, with attention to how peer relationships, social status, and emotionally salient rewards influence decision-making and behavior (e.g., Yeager 2017). Stage salience is the principle that each developmental period includes tasks that are particularly relevant to children or youth in that stage (e.g., Sroufe 1979). Stage salience is typically defined by internal changes in the capacity of the individual, but can also be defined by environmental, cultural, or context-specific changes that drive what types of experiences are most relevant during a particular age range. The concept of stage salience helps to explain how different features of a skill may change over time in their relative importance to an individual, reflecting changes in ability and/or the changing demands an individual faces at different periods of the life course. Stage salience also refers to the specific tasks that must be mastered to move to the next developmental stage: stage-salient tasks involve skills that lay the foundation for later skills. The concept of stage salience helps to identify key regulatory skills and tasks across childhood and adolescence. As shown in Table 3, preschool-age children need to be able to use core regulatory processes including inhibitory control, attention control, set shifting, and working memory to successfully meet basic tasks during the early childhood years. Given the robust correlations between core EF processes in early childhood to later academic performance and adaptive functioning, we hypothesize that the consolidation of these processes can be considered a primary stage-salient task of early childhood (e.g., Blair 2002). 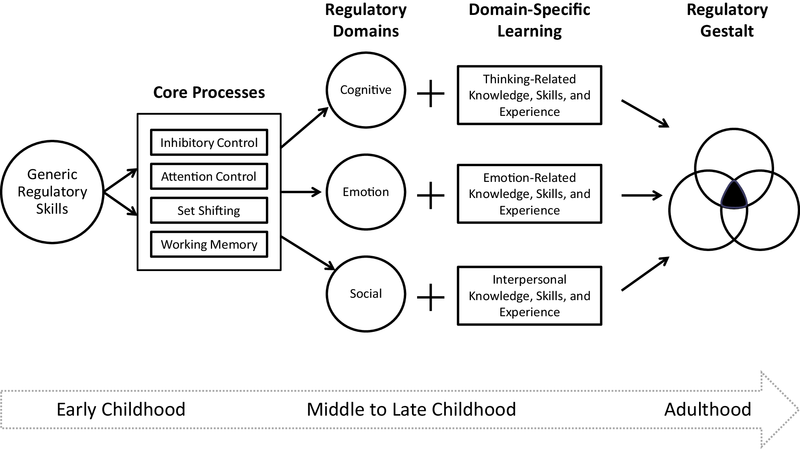 During middle childhood, as various cognitive and social-emotional skills develop, regulatory skills in each of these domains become increasingly important. 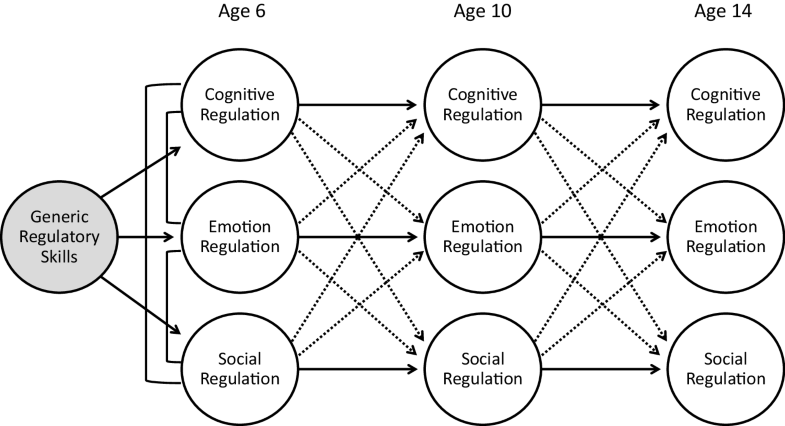 Aspects of cognitive, emotion, and social regulation—including planning, organizing, and problem-solving—can be considered stage-salient aspects of regulation during middle and late childhood (e.g., Best et al. 2011). In adolescence, more complex and multi-dimensional regulation-related skills become salient: research suggests that adolescent emotion regulation, decision-making, and self-discipline are highly predictive of various outcomes (e.g., Buckner et al. 2003; Duckworth and Seligman 2005). The principle of stage salience can be applied to an integrated model of regulation through multiple perspectives. Within the cognitive domain: planning, problem-solving, and flexible thinking appear to emerge in the early school years (ages 5–8); organization skills become increasingly salient and complex during middle-to-late childhood years (ages 7–13); and goal-setting and decision-making become increasingly salient and complex throughout late childhood and adolescence (ages 11–18). Within the emotion domain: basic emotion knowledge and expression (i.e., emotion-related vocabulary) emerge around age four and become increasingly complex and salient during middle and late childhood years, as children learn to recognize, understand, and appropriately express various feelings (ages 7–13). These skills lay the foundation for children’s ability to regulate emotions and behavior in socially acceptable ways. Basic emotion knowledge also lays the foundation for empathy and perspective-taking, as children learn to apply their knowledge of emotions to the experiences of others; this area of emotion becomes increasingly salient during the late childhood years (ages 11–13). Within the social domain, theory of mind emerges around age four and is accompanied by the emergence of basic social skills such as sharing and taking turns during early childhood (ages 4–6); however, these skills are difficult for children and typically require support from adult caregivers. During middle and late childhood, interpersonal skills grow substantially as children learn to better understand social cues, think about other people’s perspectives, wants, and needs (integrating empathy skills from the emotion domain), and engage in basic conflict resolution strategies (ages 7–13). Throughout adolescence, social skills become particularly salient as young people’s relationships take central importance and the ability to negotiate social groups, situations, and complex social interactions become more sophisticated (ages 14–17). Differentiation and integration and stage salience are universal principles—they characterize the general shape of development, but not individual trajectories. In the applications section below, we discuss how bio-ecological frameworks can be applied to our integrated model to represent regulation in context. These frameworks help define individual trajectories through patterns of risk, resilience, biology, and environment, each of which vary according to the specific person and features of his/her unique context. What does an integrated model of regulation help us to do? A model of SR which integrates EF and EC helps to articulate: what children need to know (e.g., the diverse knowledge, skills, and experiences that contribute to self-regulatory competence and how these grow/change over time); what SR looks like (e.g., how children and youth demonstrate forms of SR through their everyday behavior); and what supports are needed in the setting (e.g., how to design SR interventions or policies that target critical features of learning/living environments to effectively promote children’s regulatory development). An integrated model of regulation pushes the field forward by helping us and others to do the following: (1) build SR interventions that are more specifically targeted to developmental needs and moments; (2) increase the setting level or environmental supports for SR; (3) approach the research, teaching, and learning of SR in an integrated way across cognitive, social, and emotional domains—leading to important advances in both the science and practice of SR; and (4) focus more directly on adults. We elaborate these four applications below. Thinking about SR in a developmentally oriented way increases the likelihood that interventions will build mastery in stage-salient tasks and will lay the foundation for future success. While existing interventions may target age-appropriate SR skills, the field currently lacks a coherent model or theory about how these skills are linked to one another over time in a logical and meaningful way. As principles of stage salience suggest, SR interventions for young children should focus on basic processes such as EF core components, which emerge around 2–3 years of age and become especially salient between ages 4 and 6 during preschool and the transition to school. Core processes set up the foundation for other SR skills like planning, emotion regulation, and negotiating interpersonal relationships, which become increasingly salient during middle and late childhood; therefore, interventions during these years might focus explicitly on helping children to practice and consolidate these domain-specific aspects of regulation. Interventions for adolescents and adults should focus on the complex and multi-dimensional aspects of SR that are likely to emerge in specific situational contexts (e.g., managing competing priorities for one’s time or money; focusing on a long-term goal in the face of stressors or set-backs). By describing SR in terms of children’s behavior in everyday environments, our integrated model of SR lends itself to an ecological perspective. Bronfenbrenner defines multiple levels of ecology ranging from the proximal to the distal, in which people, relationships, institutions, and culture all exert influence on the unique trajectories of an individual (e.g., Bronfenbrenner and Morris 2006). Proximal processes are given primacy: ecological theory suggests that close relationships and daily recurring interactions exert the strongest influence on development and should be primary targets of change in intervention efforts. Applying the concepts of ecology to our model of regulation draws attention to the following: (a) the entire regulatory system is situated within a multi-leveled environment emphasizing the child’s natural contexts, (b) features of the multi-leveled environment impact regulatory functioning and are also impacted by the child’s regulatory skills, (c) proximal processes such as immediate relationships and everyday interactions are a critical influence on regulation and its course of development, and (d) comprehensive interventions or efforts to improve regulatory skills should take into consideration interactions between the person and his/her environment at multiple levels, including policies or practices that impact the wellbeing of families, schools, and the communities in which children live. In contrast to the current predominant approach—interventions that focus almost exclusively on individual-level deficits and skills—an ecological framework emphasizes interventions and policies that are aimed at creating safe and predictable learning environments for children and youth—such as direct poverty alleviation and job security programs for families, or robust funding for early childhood and public education sectors, and more support for the training and well-being of the early education and care workforces. Policies designed to improve learning environments are likely to have important lasting impacts on children’s regulation skills and to mediate improvements in academic, mental health, and behavior outcomes. Whereas some classroom- or child-level SR interventions have shown effects that fade over time or even reverse when children move into settings that do not have comparable support (e.g., Zhai et al. 2012), multi-setting, multi-year, multi-agency approaches are more likely to boost children’s skills and outcomes in long-term ways (Reynolds et al. 2011). A third application of our model is that it can drive research that more fully integrates social, emotional, and cognitive development—and thereby lead to advances in the science and practice of SR. An integrated model encourages developmental and prevention scientists to measure aspects of SR that span multiple domains of development, to better understand how development really occurs and identify key mechanisms of change for interventions. For example, researchers can use our model to explore within- and cross-domain influences over time, to generate novel hypotheses about developmental delays/disorders, and to inform future theories of development and learning. In general, developmental phenomena demonstrate both within-domain (homotypic) and cross-domain (heterotypic) relationships over time. Skills measured early in development influence similar skills later in development, and they also influence skills in other domains of functioning in a lasting way. An example of homotypic continuity is that a child’s externalizing at age 6 years predicts externalizing at age 10 years. An example of heterotypic continuity is that a child’s externalizing at age 6 years predicts internalizing and social competence at age 10 years (Bornstein et al. 2010; Rutter et al. 2006). Heterotypic continuity also refers to developmental cascades, which are defined as cross-domain, longitudinal relations between developmental phenomena (Masten and Cicchetti 2010). As children experience competence or difficulty in one domain, their success or failure tends to initiate a cascade of related effects, accelerating processes of adaptation or maladaptation across different areas of functioning, such that competence or problems “spread over time” (Masten and Cicchetti 2010). When applied to trajectories of competence, this phenomenon is described as positive chain reactions, skill formation, or skill-begets-skill (Knudson et al. 2006; Rutter 1999). For example, early behavior problems at home can contribute to “dual failure” in school via problems in both academic and social domains. Applied to our integrated model of regulation (see Fig. 3 below), the principles of heterotypic and homotypic continuity suggest that skills in one regulatory domain influence the development of more sophisticated skills in that domain, and also influence other domains. For example, emotion regulation skills during early childhood may influence cognitive and social regulation during middle childhood, and vice versa. A preschool child who has difficulty managing his/her emotions may have trouble separating from parents, handling the frustration of challenging learning activities, or calming down after a conflict with a peer. Over time, difficulty in emotion regulation may lead to challenges in other domains as the child avoids potentially difficult activities, thus limiting his/her opportunities to build and practice cognitive flexibility skills, and/or avoiding potential conflicts, thus limiting her exposure to new social relationships or opportunities to build and practice interpersonal regulatory skills. Heterotypic continuity often appears as the manifestation of the same underlying process through different behavioral presentations at different developmental periods (Cicchetti and Rogosch 2002). For example, low inhibitory control may look like one thing during preschool and look very different during adolescence or adulthood. Furthermore, the same behavior can have different meaning at different developmental stages. An integrated model of regulation helps to articulate the specific manifestations of regulatory behavior that are appropriate for children across ages/stages and across domains. Without such a model, we risk designing programs that are not well targeted to children’s actual capacities, or we set unreasonable goals for children’s behavior which may lead to repeated failure and problems in the learning setting. An integrated model also encourages researchers to design studies that test different pathways of development and diverse trajectories of SR competence or difficulty. Currently, the field of SR-related research includes neurological, biological, and physiological studies as well as behavioral, psychological, and sociological studies; yet there are few theories to guide how stakeholders should integrate the different types of findings produced by these different disciplines (Nigg 2017). Using the principle of probabilistic epigenesis with our integrated model of regulation, we can better understand cross-level relationships that influence SR development and learning. This enables us to incorporate diverse SR literatures, and to enhance our theories of learning and development to better incorporate multiple domains of functioning as well as biological and environmental factors. Probabilistic epigenesis is a developmental principle that suggests how phenomena at different levels of hierarchy relate to one another (Gottlieb 2007). Skills at lower levels of the hierarchy might exert causal influence over skills at higher levels, or higher-level skills might exert top-down influence to determine events at lower levels. Gottlieb (2007) suggests that either top-down or bottom-up causal relationships are too deterministic to represent complex developmental phenomena. Instead, he proposes bi-directional relationships between all levels of hierarchy, such that skills at each level exert influence over skills at other levels through probabilistic processes. This involves events and phenomena at lower levels setting up possibilities for the upper levels, and vice versa. As such, probabilistic epigenesis emphasizes the reciprocity of influences within and between levels of hierarchy (Gottlieb 2007). Gottlieb describes four levels of hierarchical organization—genetic activity, neural activity, behavior, and environment (Gottlieb 2007). As shown in Fig. 4, in terms of self-regulation, we describe the four levels in the following way: (1) genetic activity/ biological disposition, reflecting temperament and biologically-based aspects of reactivity (emotionality, negativity, sensitivity to stimuli) that tend to be described within EC research; (2) neural activity/ core regulatory processes, reflecting the sub-components of EF and EC (inhibitory control, attention control, working memory, set shifting) that operate at a neural systems level to enable basic regulatory functioning, and are typically studied by cognitive neuroscientists; (3) behavior/ regulatory domains, reflecting the domain-specific skills and behaviors (cognitive regulation skills like planning, emotion regulation skills like managing anger, social regulation skills like conflict resolution) that are observable manifestations of regulatory functioning, which are often studied by clinical and developmental psychologists; and (4) environment, reflecting the physical, social, and cultural factors that surround the development of regulation for an individual child (SES, neighborhood disorder, toxic stress, parenting and care-giving practices, school climate), which may be studied by various researchers including educators. As the individual develops, skills and characteristics at each level exert influence on the other levels, producing distinct trajectories of regulation. For example, extensive research documents the influence of environmental factors on the development of regulation-related skills at the neural and behavioral levels: specifically, that exposure to poverty-related stressors impedes the development of EF processes as well as behavioral skills such as emotion regulation (e.g., Evans and English 2002; Farah et al. 2006; Noble 2014; Sarsour et al. 2011). Recent papers also highlight bi-directional relationships between aspects of regulation across genetic, neural, and behavioral levels: bi-directionality between EF processes (neural) and emotion regulation constructs (behavioral), between temperament-based vulnerabilities (genetic) and parenting practices (environmental), and between multiple domains of regulatory behavior (Eisenberg et al. 2003; Raver et al. 2013; Rueda et al. 2005). For example, longitudinal studies of EC provide evidence that early biologically-based temperament and genetic characteristics influence children’s later capacity for emotion regulation (Calkins and Fox 2002). 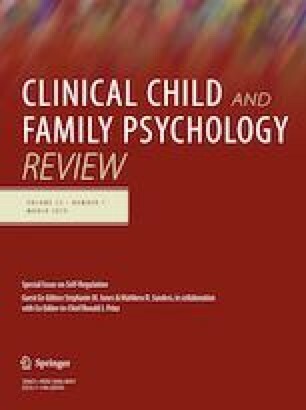 Evidence also suggests that emerging regulatory skills may change a parent or caregiver’s view of the child’s temperament and lead to changes in the parent’s emotional expressivity and parenting practices (Eisenberg et al. 2001a, b). These findings suggest that constructs across these two levels interact bi-directionally. However, in many studies the direction of influence is unclear; suggesting the need for more research that explicitly tests for causal or bi-directional influences. The bi-directionality hypothesis has important implications for intervention design: it suggests that core regulatory processes such as inhibitory control or working memory might be developed through programs and activities that target regulatory skills in social, emotional, and cognitive domains, not just through programs targeted to working memory, for example. Programs that integrate regulation with broader social and emotional skills like conflict resolution may offer additional benefits to children and youth, above and beyond the development of EF—such as decreases in youth violence. Finally, probabilistic epigenesis highlights the importance of gene-environment interactions. This is consistent with evidence in the SR literature indicating that features of a child’s particular environment interact with individual differences at the genetic/biological level to influence developmental trajectories (e.g., Blair and Raver 2012). Research on these cross-level coactions suggests that specific pairings of biologically-based reactivity and environmental stressors or supports play a major role in the regulatory outcomes of children and youth. For example, children who have high reactivity and who are exposed to high levels of toxic stress are more likely to have poorer outcomes than children who have low levels of reactivity in the midst of toxic stress, or children who have high reactivity but low levels of stress and high levels of parental support (e.g., known as the orchid/dandelion hypothesis; see Boyce and Ellis 2005; Kennedy 2013). An integrated model of regulation supports researchers to identify opportunities for intervention at various levels of the regulatory system, suggesting skills and areas of functioning that may have multiplying effects when targeted simultaneously. In turn, findings from these interventions can contribute to more nuanced theories of developmental and learning that span multiple domains and levels of analysis. Finally, the model we propose pushes the field to think more about the role of adults in supporting SR-related skills and development. Whereas the EF literature tends to focus on child-focused skill-building interventions, the EC literature is suggestive of adult-focused interventions that support parents and caregivers to understand children’s temperament and learn strategies for effective parenting practices and parent–child relationships. Consistent with transactional theories of development, children and environments shape each other, and regulation-related skills are especially influenced by parenting, teaching, and adults’ own self-regulation skills (Sameroff 2009, 2010; Sameroff and Fiese 2000). Our model highlights features of the environment that shape children’s learning and development of SR, suggesting adult-focused programs and policies that: (a) aim to build adult capacities to support SR through scaffolding, modeling, and other supportive practices, and (b) aim to build positive learning environments that are deliberately designed to promote children’s SR. For example, policies such as standards for early learning and K-12 education should not only articulate what children should know and be able to do, but also articulate clear teaching practices and classroom supports that promote SR development, and make specific provisions for adult learning and capacity-building. An increasing focus on adults is consistent with recent advances in SR-related research (Song et al. 2018), calls for greater investment in teachers’ own self-regulation and social-emotional development (Schonert-Reichl 2017), dual-generation efforts designed to increase the EF-related skills of parents and the early childhood workforce (Jones et al. 2016; Lesaux et al. 2015), as well as emerging recommendations from the science of child health and adversity (Shonkoff 2016). Effective adult-focused efforts include mindfulness-based interventions, stress reduction programs, professional development and coaching focused on adult self-regulation and social emotional development, and the provision of specific teaching and parenting supports such as positive behavior management trainings and mental health consultation (e.g., Jennings et al. 2013; Raver et al. 2011; Roeser et al. 2013). In this paper, we have proposed an organizing framework for self-regulation to clarify relationships between unique skills or aspects of regulation and to enable researchers and stakeholders to better understand, model, and intervene effectively on SR in support of positive life outcomes. Without an organizing framework, we argue that meaningful distinctions and critical skills/processes will be obscured, interventions will be designed to target skills other than the ones shown to be most salient at a particular time or context, or we will miss important factors that could be leveraged to maximize the impact or benefits for children and families. In particular, measurement and interventions in SR-related research need to be organized around a clear theoretical framework to effectively measure aspects of SR development, accurately capture program effects, and appropriately describe the existing evidence base and interpret findings from specific studies (Bailey et al. 2018). In recent years, researchers have identified EF and EC as key elements of SR that need to be better understood in relationship to each other and to children’s everyday functioning (Jones et al. 2016; Liew 2011; Nigg 2017; Zhou et al. 2011). In this paper, we have attempted to bring together these elements into a coherent and integrated model of SR that can be used as an organizing framework for school-based interventions and other applied settings, and for the next decade of SR-related research. Ahmed, S. F., Tang, S., Waters, N. E., & Davis-Kean, P. (2018). Executive function and academic achievement: Longitudinal relations from early childhood to adolescence. Journal of Educational Psychology. Advance online publication. Retrieved from, http://psycnet.apa.org/record/2018-40025-001. Center on the Developing Child at Harvard University. (2011). Building the Brain’s “Air Traffic Control” System: How Early Experiences Shape the Development of Executive Function: Working Paper No. 11. Retrieved from http://www.developingchild.harvard.edu. Components of social, emotional, and intellectual habits (2017). Connecticut core standards, department of education. Retrieved from, http://ctcorestandards.org/?page_id=9591. [DHHS/ACF/OHS] U.S. Department of Health and Human Services, Administration for Children and Families, Office of Head Start (2015). Head start early learning outcomes framework. Retrieved from, https://eclkc.ohs.acf.hhs.gov/school-readiness/article/head-start-early-learning-outcomes-framework. Jones, S. M., & Kahn, J. (2017). The evidence base for how we learn: Supporting students’ social, emotional, and academic development. National Commission on Social, Emotional, and Academic Development, Aspen Institute. Retrieved from, https://www.aspeninstitute.org/publications/evidence-base-learn/. Noble, K. G. (2014). Rich man, poor man: Socioeconomic adversity and brain development. Cerebrum: The DANA Forum on Brain Science, 2014, 6. Retrieved from, http://www.ncbi.nlm.nih.gov/pmc/articles/PMC4436198/.